Each page describes one of the five senses and which organ is used. 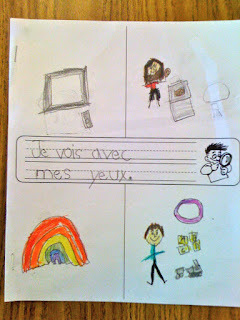 Students draw or collage things for each page. 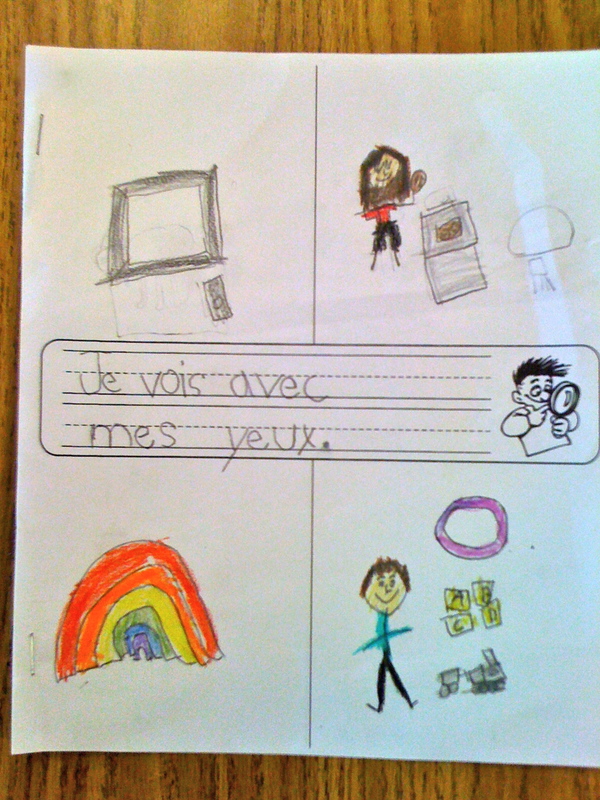 Student who are able are asked to label their drawings. For my science units I follow the Edmonton Public Science Resource. It has fabulous hands on experiments and is already in both French and English. I supplement it with my own more integrated projects when I can. “Can You Help Me Move This Branch?” A Tale Of Passion, Perseverance, And Problem Solving!